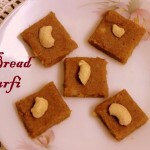 Carrot burfi or gajar ki barfi is a popular Indian dessert made with carrots, milk and sugar. 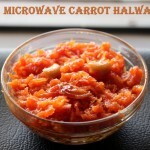 It is an ideal sweet dish especially during winters when red and juicy carrots are in season and available easily in the market. 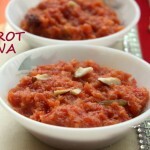 You can enjoy the goodness of carrots in the form of halwa or barfi. 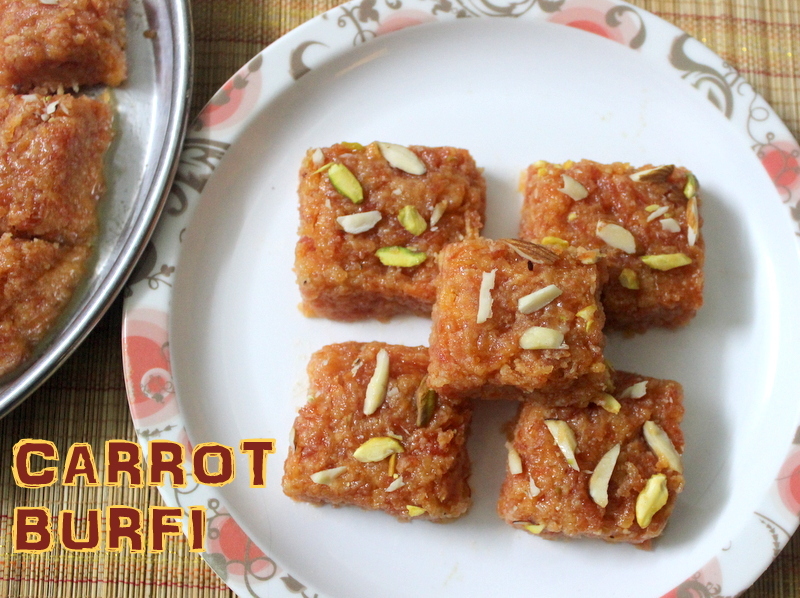 Carrot burfi is very similar to carrot halwa as the ingredients are the same for making both these sweet dishes. 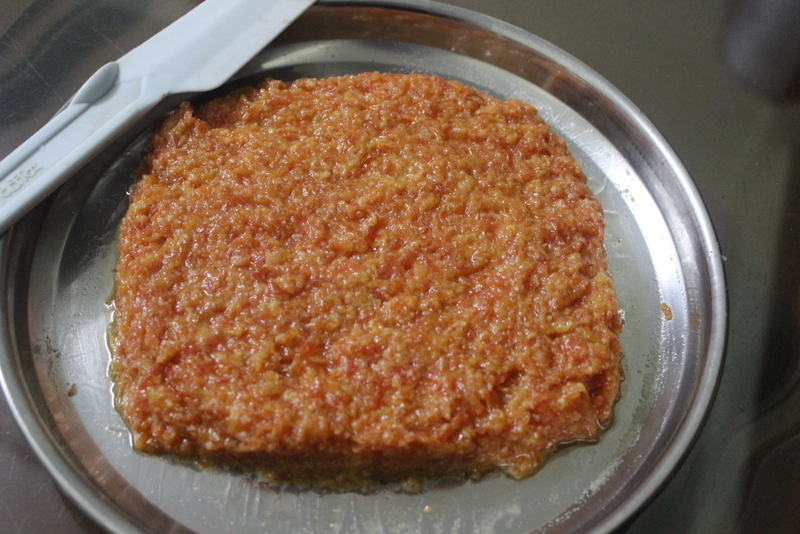 The only difference is that for barfi, a little more mawa or milk powder or condensed milk or heavy cream is used, so that the halwa is set and then can be cut into pieces. Wash the carrots thoroughly under running water. 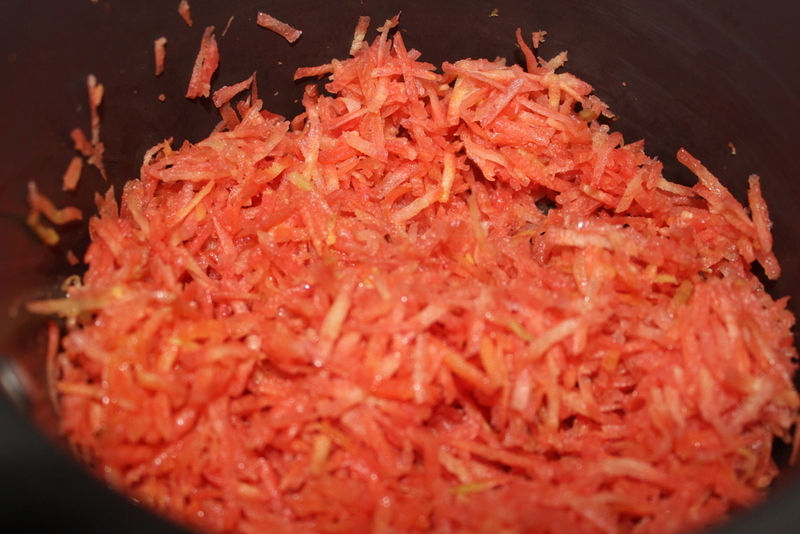 Cut the ends and peel the skin of the carrots. 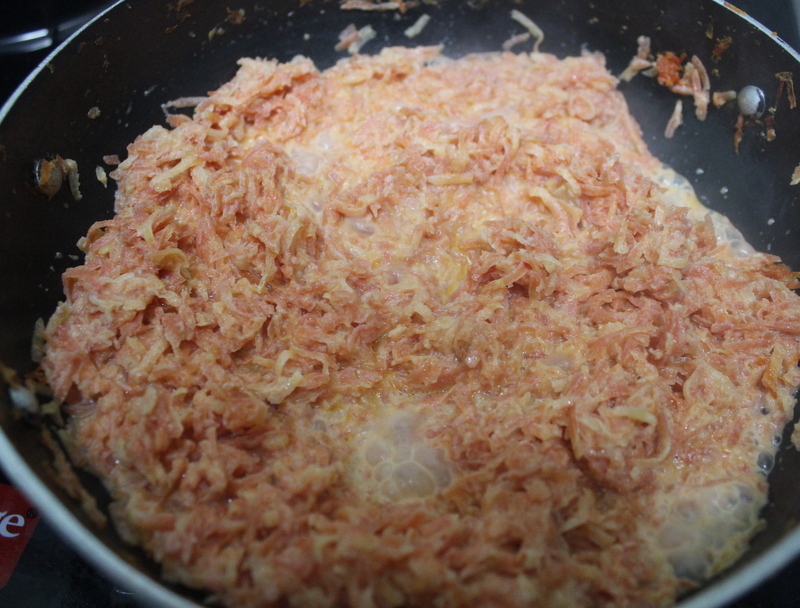 Grate them with the help of a grater or a food processor and keep it aside. 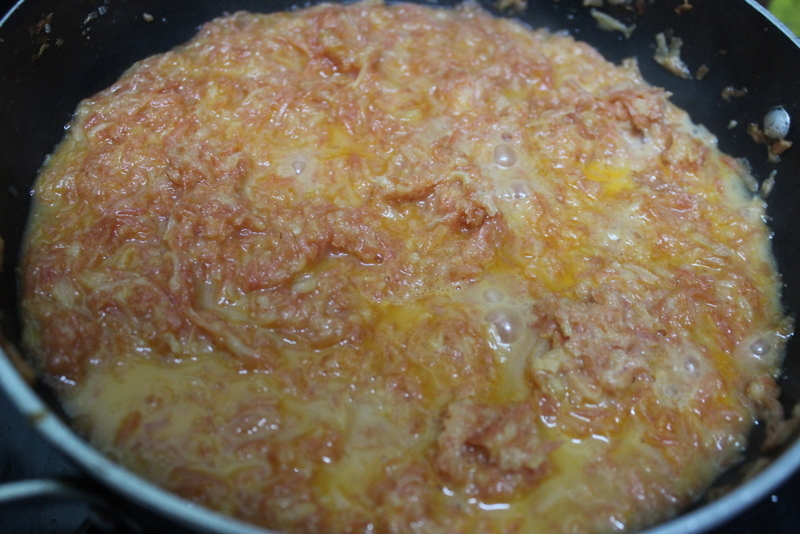 Grease a plate with little ghee. Grate the mawa and set aside. 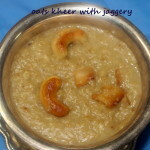 Heat 2 tablespoons of ghee on medium flame. 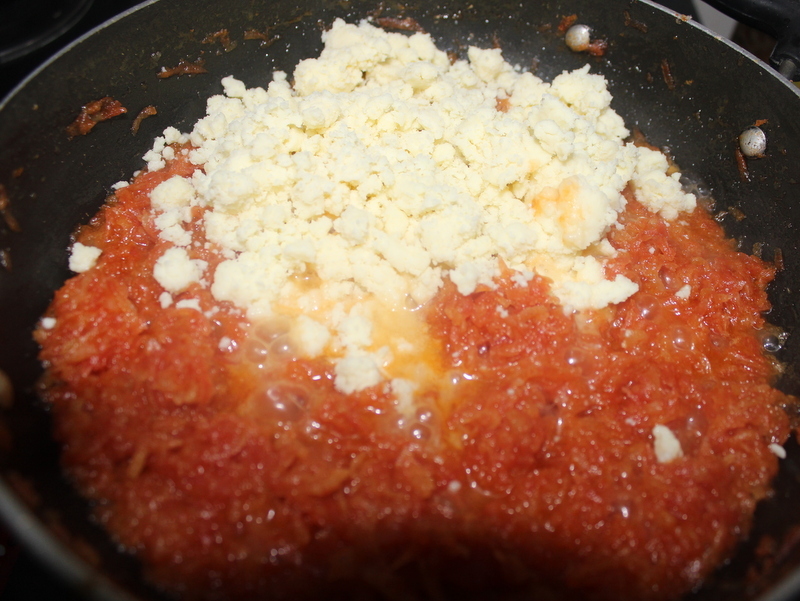 Add the grated carrot and saute for upto 2 minutes on a low flame, till the carrots shrink a bit. Add milk and mix well. 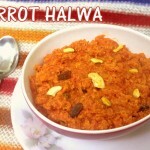 Keep stirring at regular intervals, till the carrots are well cooked and milk is fully absorbed. 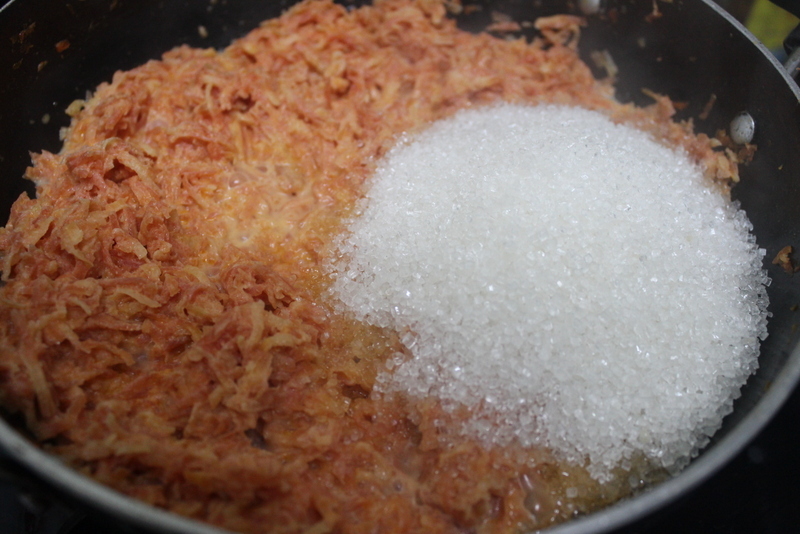 Then add sugar and mix well. 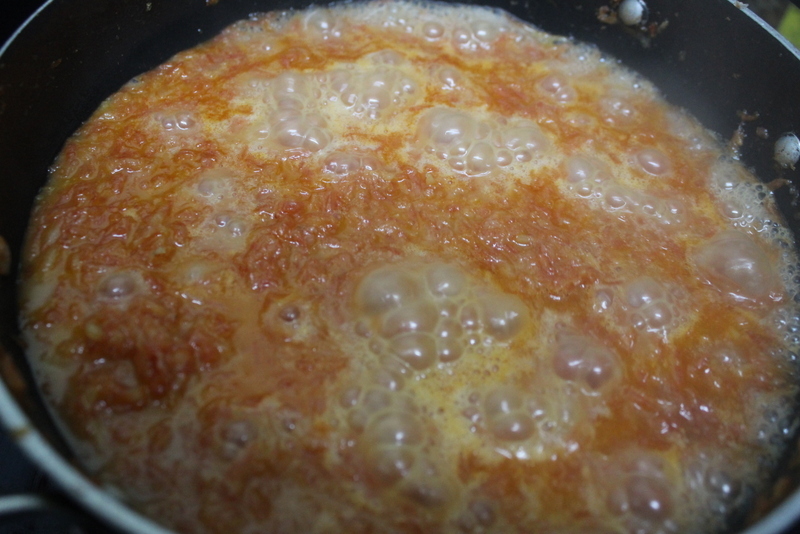 The sugar will start melting and the mixture will become little loose. 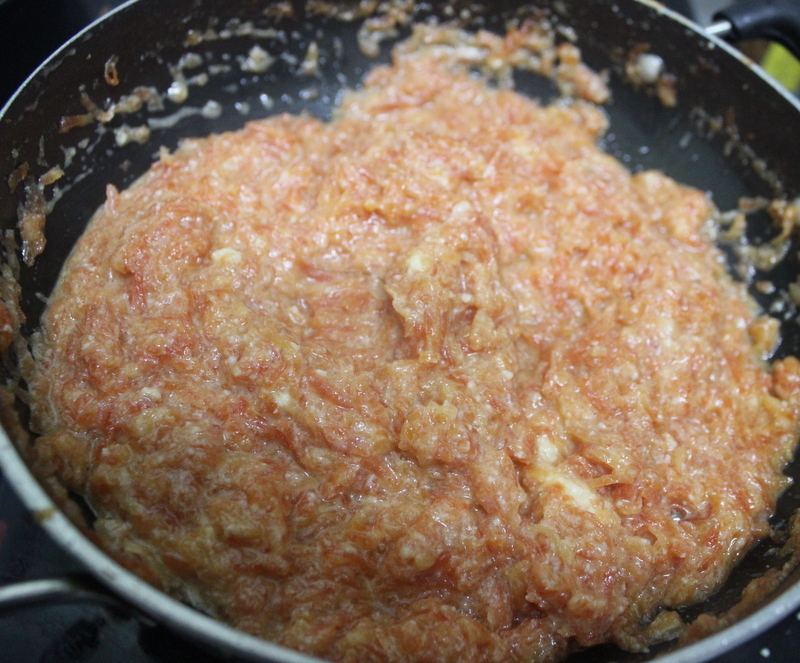 Now stir continuously till the mixture starts thickening and the sugar water is fully absorbed by the mixture. 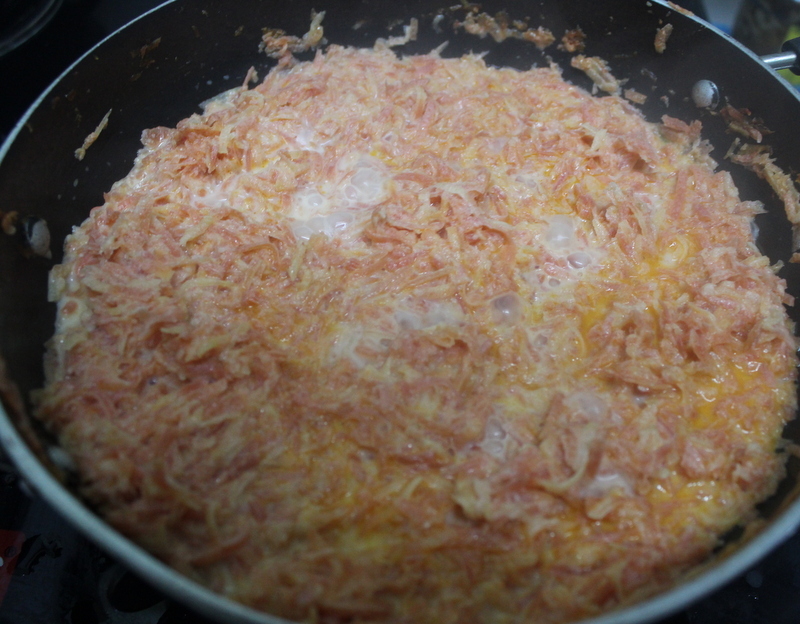 Cook for about 10-12 minutes stirring continuously on a low to medium flame. 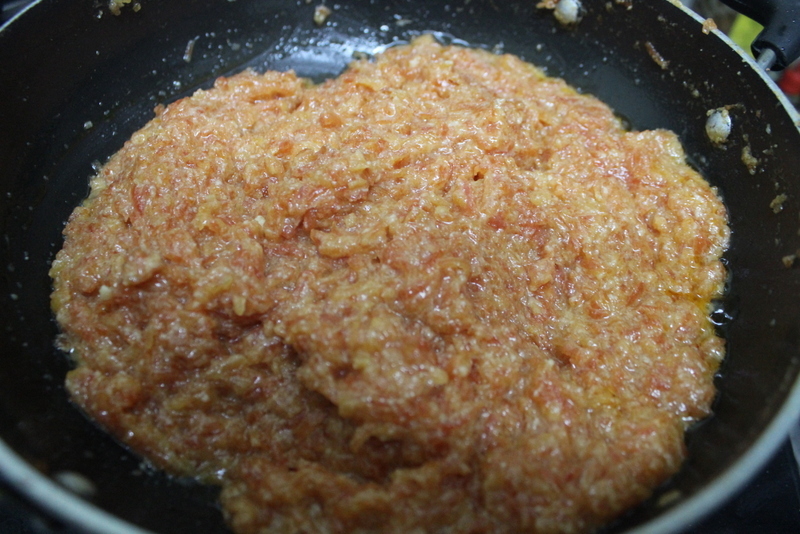 Once the mixture gets thickened. 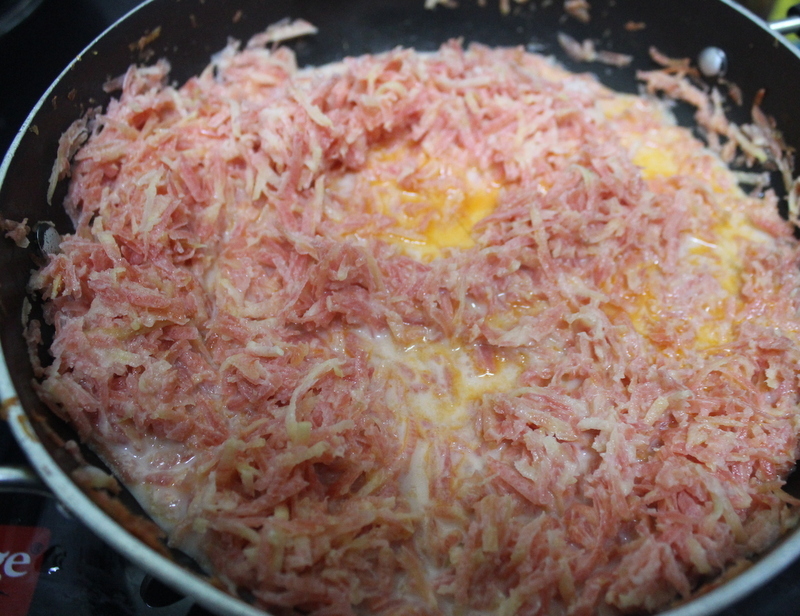 add the mawa and mix well. Keep stirring for another 4-5 minutes. 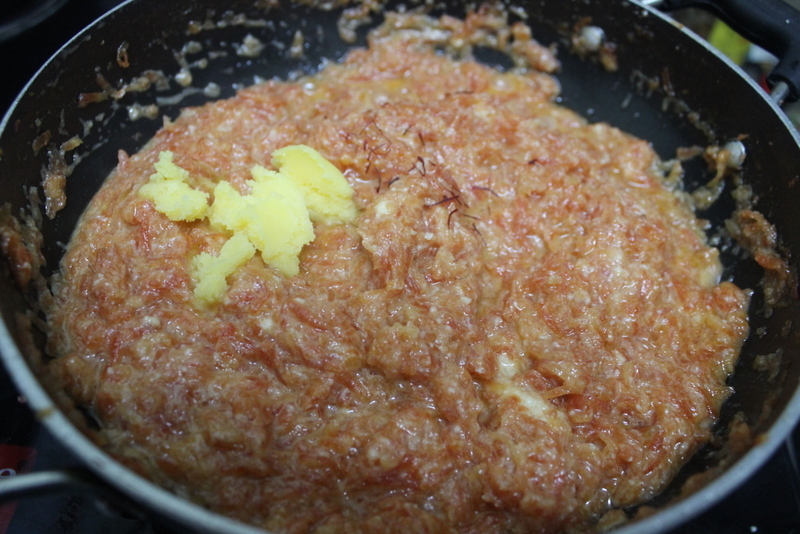 Once the mawa is fully dissolved in the mixture, add another 2 tablespoons of ghee and saffron strings. Mix well. 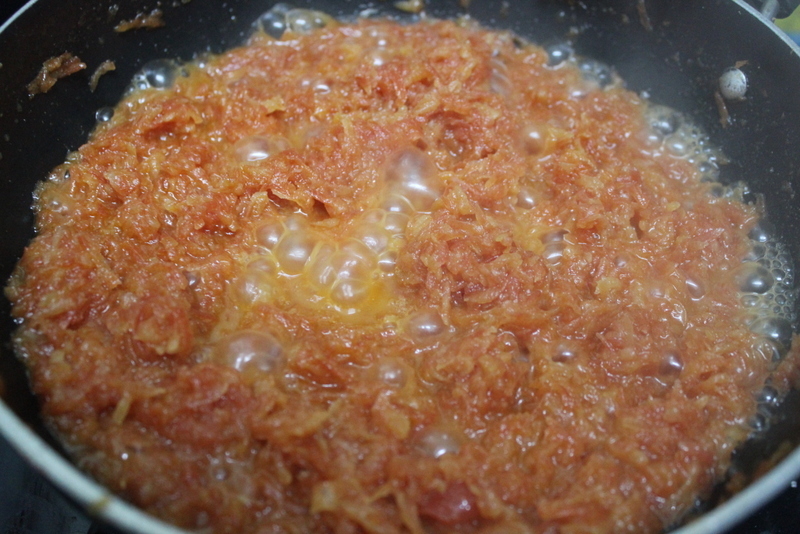 Once the mixture thickens and reduces, switch off the flame. 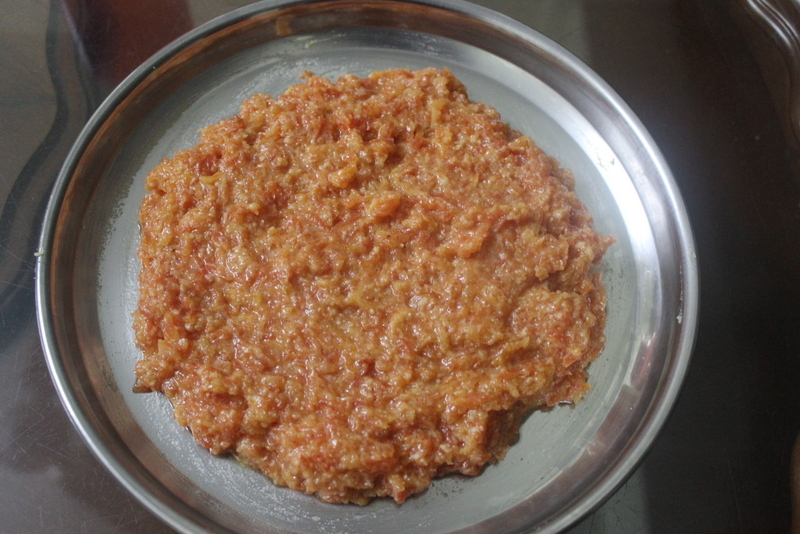 Transfer the mixture to the greased plate and tap gently on the top and on the sides of the mixture, with the help of a spatula or spoon. 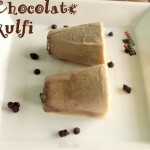 This helps to smoothen a bit and give a nice shape to the burfis. Garnish with some chopped almonds and pistachios and gently press them with a spoon or spatula. 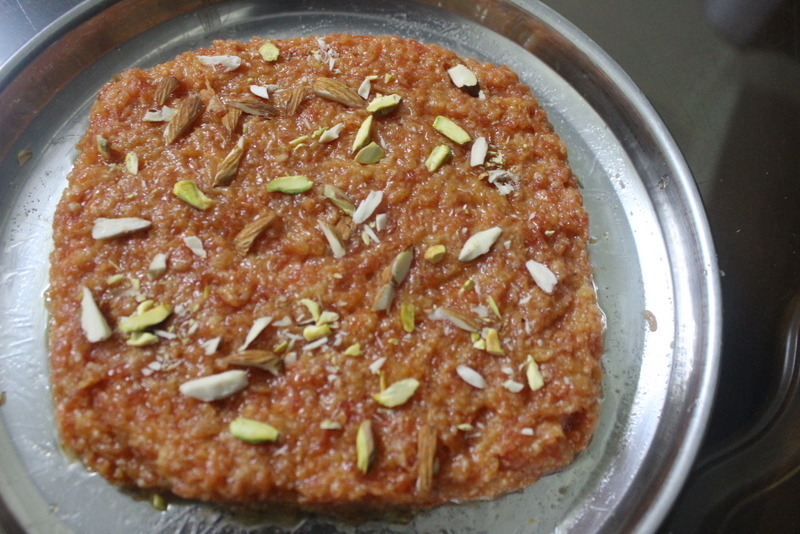 Keep the barfi aside to cool down and allow to set at room temperature for at least 2 hours. 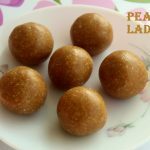 Alternatively, you can also keep in the fridge after the barfi cools down. 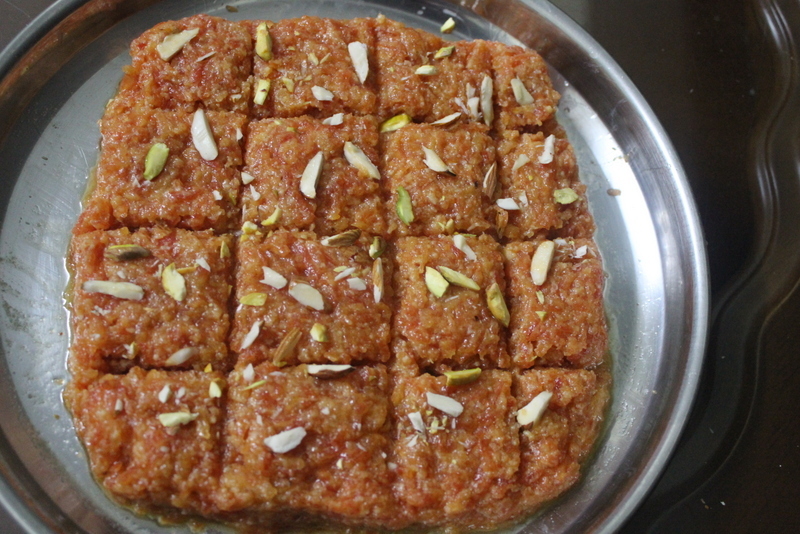 Slice the barfi into square shapes or as per your preference. 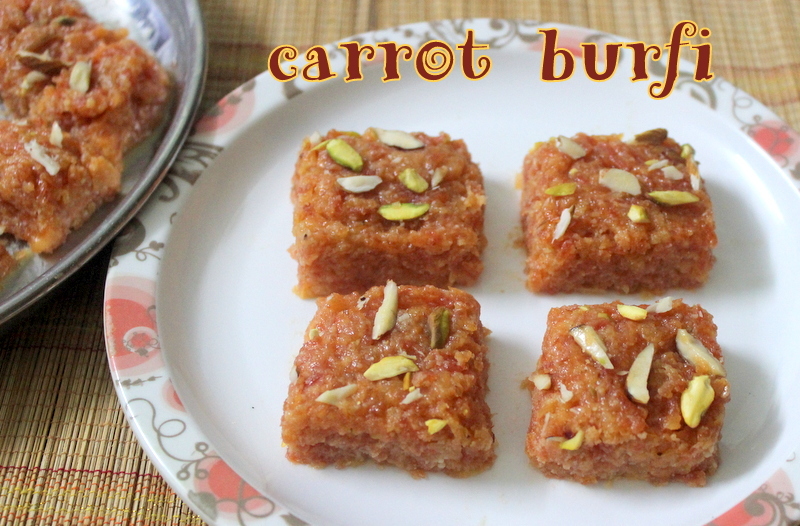 Enjoy this classic and delicious carrot burfi as a dessert after meal or as a sweet dish. Adjust sugar according to the sweet taste required by you. 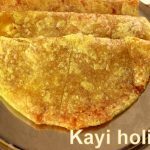 You can also add cardamom powder instead of saffron strings. 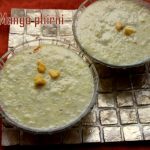 You can use milk powder instead of mawa. 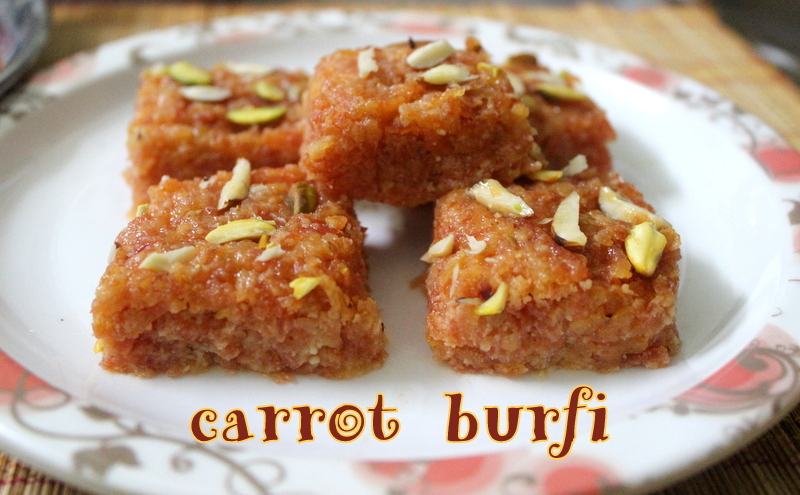 You can store the carrot barfi in the refrigerator for 3-4 days and relish as and when required.